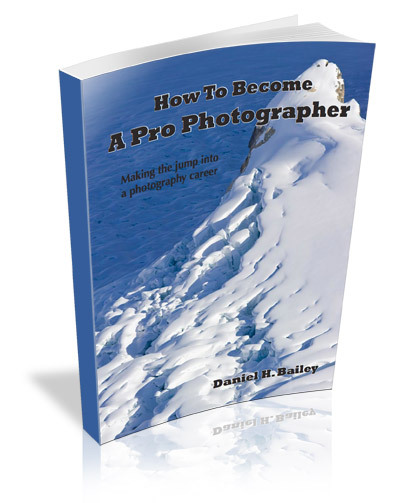 This 27 page eBook is aimed at photographers who want to know what it actually takes to make the jump into a professional photo career. Illustrated with full page imagery and packed with in-depth information, industry resources, links and personal insight that I’ve gained from my experience working as a full time pro for a decade and a half, it will tell you what you need to know in order to get started working in this field and lay the groundwork towards building a successful photography business. The fact is that the global economy, digital technology and the internet have drastically changed the business model of photography during the past few years. Now more than ever, photographers who want to make money with their cameras face stiff competition and a very saturated market. It won’t replace the hard work that you'll need to do if you want to become a pro, and it certainly won’t guarantee success, but it will point you in the right direction and answer many of the questions that you probably have about what it takes to be a professional photographer in this day and age. The book is broken down in to five sections that cover how to determine if you're ready, technology and equipment, marketing and social media, business and taxes and building your brand as a working photographer. If you want to turn your photography passion into a career and start making money with your camera, or even if you're an emerging pro who still has questions and wants to get on the right track, then this eBook is for you.